The Xiaomi Mi Max would appeal to only a few people in India right now, but in that niche market, it’s the best. The Xiaomi Mi Max is meant to be your secondary smartphone. It makes sense for people looking to buy voice calling tablets for their parents, or a good device for media consumption. It caters to a very niche market right now, but in that market, it is at the helm. Once upon a time, Xiaomi's engineers were trying to figure out the impact of gamma radiation on the Redmi Note 3. A mishap at the lab led to a singular event. 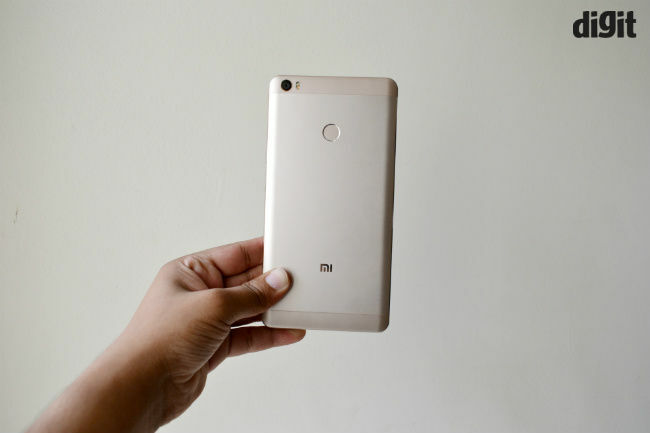 The Xiaomi Redmi Note 3 survived the disaster, but had changed. It was now bigger, hulked up, but with the same personality inside. 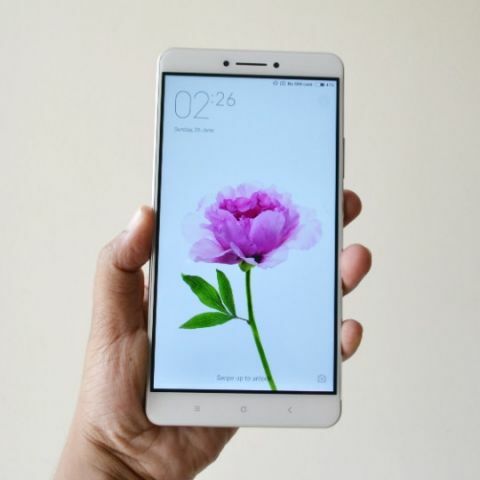 Xiaomi decided to call this the Xiaomi Mi Max. I obviously made up that story, but it pretty much sums up what the Mi Max is. 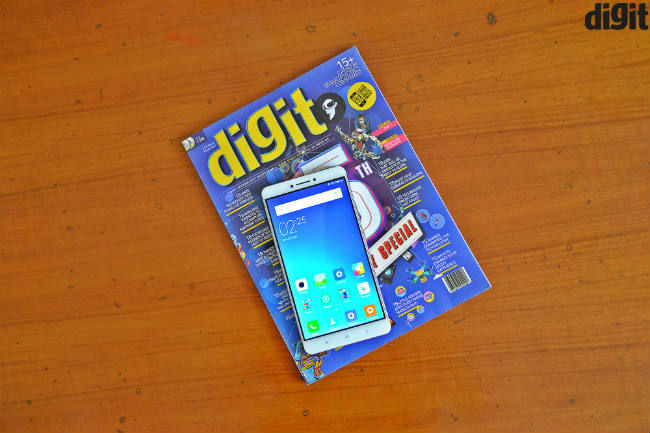 It's a 6.44-inch, hulked up Redmi Note 3, albeit with the Mi monicker, so it lies in the flagship range. Unlike the comic book character, it isn't more powerful than its predecessor, but it's aimed at achieving more with your phone. The first step to understanding the Mi Max is to recognise that there actually are people in the world who want such a huge device. Yes, most of them are in China, but this isn't the first time anyone's trying such a phone for India. Looking back, you'll find devices like the Asus Fonepad 7, Fonepad 8, voice calling tablets from Micromax and the more recent Lenovo Phab Plus. While the Phab Plus actually belonged to the phone category, the others were marketed as tablets. 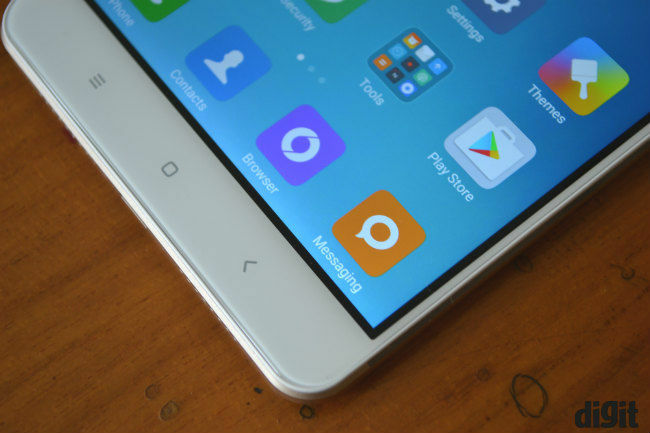 The Xiaomi Mi Max is a dual-SIM smartphone that's essentially a tablet in disguise. It aims to capture the voice calling tablet market, which, unlike the overall tablet market, may have a better future. Will it work? Only time will tell, but Xiaomi earns points for trying. A 6.44-inch screen is very easy to mess up. One of the cons in our Asus Fonepad 7 dual-SIM review was that the display wasn't great. Small mistakes in colour or viewing angles seem exaggerated on such displays, which means that if you want to sell one of these, you have to be spot on. Fortunately for Xiaomi, this is a job well done. Screen resolution of 1080p works fine for the 6.44-inch diagonal size, and the pixel density sits pretty at 342ppi. It's sharp enough for the human eye, but I really wish Xiaomi would come out with a higher-end variant to this device and throw a QHD display at it. It'll be interesting to see what the QHD resolution will look like on this diagonal size. During the Xiaomi Mi Max review, I found the viewing angles on this current Mi Max aren’t that great for a device primarily meant for consuming media content, and putting a better display on it may do the trick. The contrast on the Mi Max generally looks a bit low. This is best represented by using an app like Pocket, when reading on the Dark Mode. The black background looks deep, which exhibits the display's commendable black levels. The white text, though, looks somewhat greyish. It's difficult to discern, unless you're really looking deeply into it (which in turn somewhat belies the point of the night reading mode.) Try searching for an image with black background, with big bold white text on it. The end credits of movies are a good way to figure this out. There's also a slight bluish tint on the display, which you can get rid of through controls in the Settings menu. There are options to turn the display warmer, cooler or simply put faith on the neutral mode. Not all of them are accurate, but works for most. Overall, to sum up the display bit of our Xiaomi Mi Max review, it is pretty great, if not, the best out there. If compared to devices with similar display sizes available in India, this is without doubt the best you'll get. Xiaomi understands that the market for a device this size doesn't exist in India. So, it's trying to build it. You can only do that if you get the design right, and in many ways, Xiaomi has. I'd love to have such a device sitting on my desk, to use as a remote for my IoT devices, or to watch movies when on an airplane. Yes, like Xiaomi, I'm also part of a niche subset. While the Lenovo Phab Plus is too large and unwieldy, the Mi Max isn't. 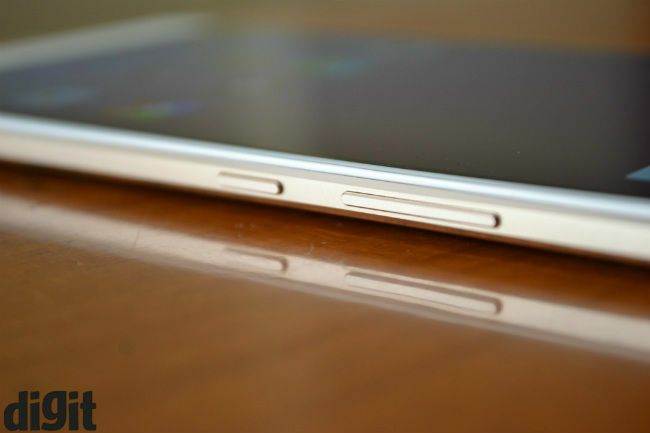 It's sufficiently thin, and 7.5mm on this size feels slimmer than it would on a 4.7-inch device. This also accentuates the fact that this is more about the screen than anything else. It feels good to hold, and decidedly not ergonomic. The height, width and weight make the Mi Max better suited to be your secondary device. It is about 173mm tall and 88mm wide, and it weighs 203 grams. It's actually pretty light for its size, but 203 grams is still heavy for a handheld device. If you're used to lighter, smaller devices like me, you may feel a pain on your wrist initially, especially when trying to use this with one hand. You can't actually use this with one hand, but simple button taps and play/pause actions are possible, albeit painfully. You also see Xiaomi's penchant for symmetry here. The front has two identical circles on either side of the earpiece. These are for the 5MP front camera and the proximity sensor, while the capacitive buttons reside on the bottom bezel, with the back and multitask buttons equidistant on either side of the home button. Below these are the speaker grilles (only one of which is a functioning speaker), and the microUSB port for charging. The 16MP camera module rests on the top left of the back, with a dual-LED flash next to it. On the top is the 3.5mm audio jack, a mic and an IR blaster. 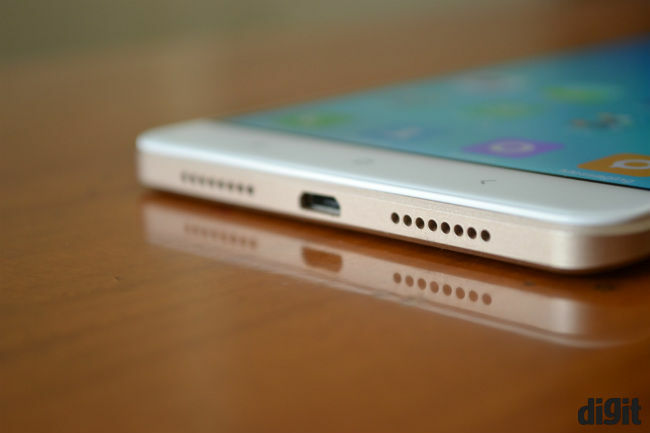 Xiaomi surprisingly chose to keep the fingerprint sensor on the back of this device. While it's just as fast as it was on the Redmi Note 3, it seems like a weird choice. To me, the Mi Max seems to be perfectly suited for a front fingerprint sensor, same as on the Xiaomi Mi 5. Having it there would also have created a brand identity, with Mi devices having sensors on the front, and Redmi devices, to the rear. More importantly, the rear sensor is tougher to reach at this size. I did get used to it in a matter of days, but for a device that I'd rather have on my desk, I want the fingerprint sensor to be on the front. Lastly, the Mi Max is a good looking device. While it's size turns heads anyway, if seen at a store, you will want to get a feel of it. The back feels like solid aluminium, slightly textured to enhance grip. It feels more premium than a Redmi Note 3, and more like the LeEco Le 2. There is a plastic strip on the top and bottom of the back to aid antenna performance, but mostly, the device is metallic. Its thinness makes it feel somewhat like a thin strip of metal, with the camera bulge small enough to avoid wobble when on a desk. While the thinness of the Xiaomi Mi Max does allow you to slip it in your pocket when needed, you'll never really be comfortable with it there. This is yet another reason why this phone belongs on my desk more than with me. One of the biggest advantages of a phone this size is that one can fit a huge battery in it. It would have been a capital crime had Xiaomi not fitted a large battery in it, and the company didn't disappoint. The Mi Max has a massive, 4850mAh battery, and it lasts really long. There are few phones in the market today that last me a full day, and the Mi Max is one of them. In fact, with the screen at 50% brightness, the Mi Max lasted me for a day and a half, and the Gionee Marathon M5 is the only phone that has been able to do that so far. Even the Redmi Note 3, for me, lasts for just about a full day. 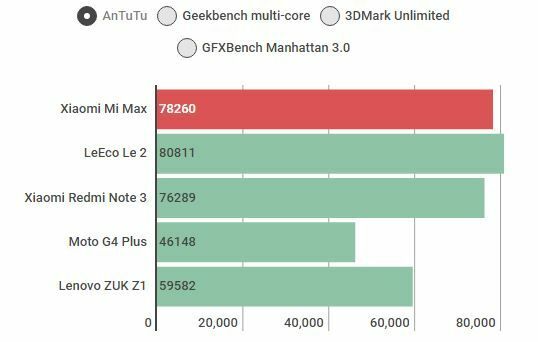 On the Geekbench 3 battery test, the Mi Max lasted for nearly 13 hours, which is impressive. On heavy usage, the Mi Max would last almost anybody a full day, and the average smartphone user can expect at least two days of battery life from this device. Playing a game on it for 20 minutes led to a mere 2% battery drop. Having said that, I can't help but want an even bigger battery here. 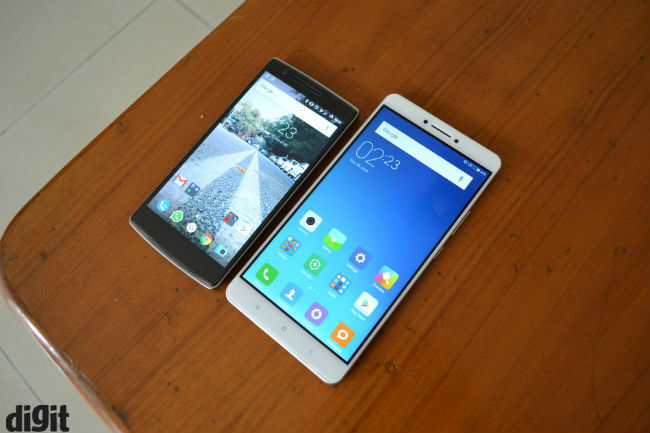 Even the Redmi Note 3 had a 4000mAh battery, and the Mi Max is sizeably bigger. 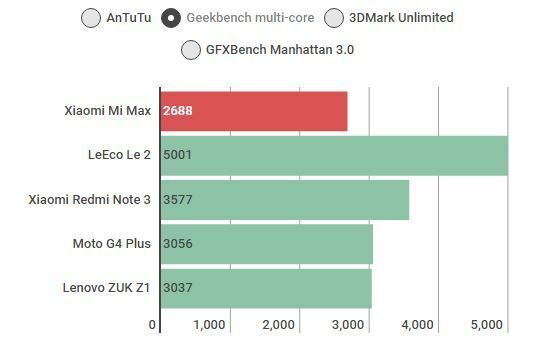 The choice of battery has presumably been made to keep the phone thin, and there's really no reason to complain about the Mi Max's battery life, but perhaps Xiaomi could have done even better. The Snapdragon 650 is a proven choice for the mid-ranged and budget markets right now. Xiaomi also has a Snapdragon 652-powered variant for the Mi Max, priced at Rs. 19,999. It will be more powerful, along with 4GB of RAM and 128GB of storage. 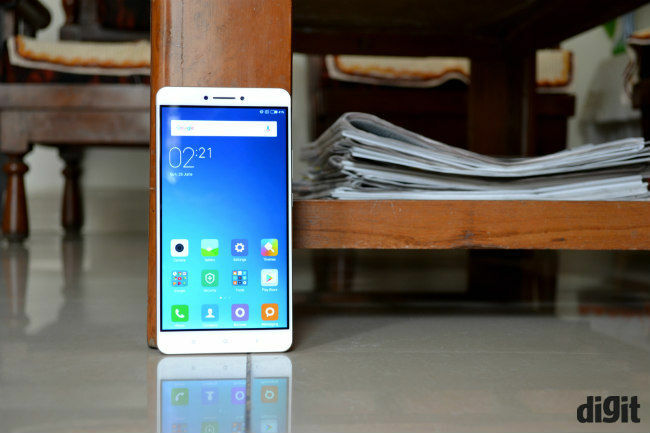 Here, though, we test the entry-level variant of the Xiaomi Mi Max. 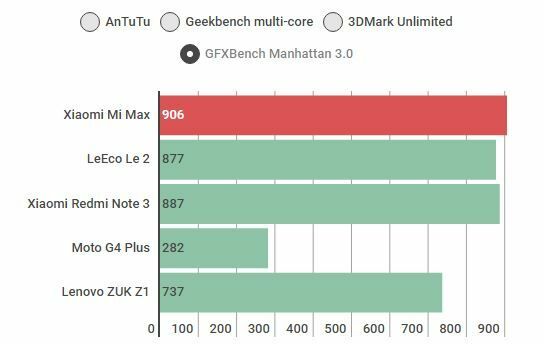 There are really no lags or heating issues worth complaining about in the Mi Max. The SD650 seems to tackle the considerably bigger screen with ease. 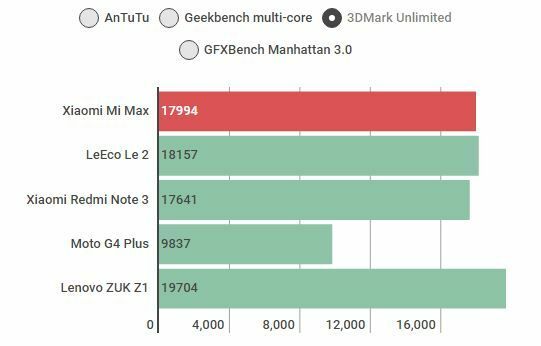 The Mi Max is slightly less powerful than the LeEco Le 2, but sufficiently powerful for anything you'd want to do with it. But power was never really the question, was it? To put it simply, the Mi Max delivers the same performance as the Redmi Note 3. The performance of the Mi Max is also very much relative to its size. Thankfully, Marshmallow allows apps to conform to the 6.44-inch screen, which means that any app you use is going to fit right. I found that the Amazon app says it isn't compatible with this device, but Xiaomi confirmed that it's an issue with device filtering, and will be sorted out soon. I used apps like Pocket, Flipkart, Instagram, Netflix, Evernote, Economist, LinkedIn Pulse, every social network you can think of, Soundhound, Wunderlist, Wynk Music, Ola Cabs and many more, along with regular apps like Gmail and WhatsApp. None of these conflicted with the display size of the Mi Max. Playing games on the Mi Max can be fun, too. That said, you'd enjoy games like Asphalt, which depend more on device movement than swipes and taps. While playing Injustice: Gods Among Us, swiping across the screen got a bit tedious and painful to the wrist, simply because of the size. The camera on the Xiaomi Mi Max really isn't anything to write about. The 16MP camera, with f/2.0 aperture, is the same as the Redmi Note 3, as is the quality of photographs shot by it. Under low light, you can often see oversharpening of photos, and there’s quite a bit of noise in photos. The phone drives the ISO up to high numbers (as high as 6400), and ends up putting too much noise in one frame. Interestingly, the Mi Max tends to drive the ISO high in indoor conditions as well, under your regular fluorescent lights. As a result, a lot of noise creeps in and details are lost. Highlights are also often clipped. If there ever was a phone that was meant to be your secondary device, the Mi Max is the one. It’s essentially a voice calling tablet, and for those looking for such a device, this is the best. It’s fast, feels premium and works as well as any Android smartphone in its price range. It’s a good choice for those looking to buy a tablet for their parents, or those looking to have a secondary device with a screen big enough to read, and so on. In fact, I’ve watched two full matches of the Euro 2016 on this device, without breaking a sweat. That said, I really can’t see myself wanting to carry this around with me as my primary device, and the subset of people buying a secondary smartphone in India is low. So, there’s no doubting that the Xiaomi Mi Max is a niche device, but in that niche market, this is the right choice.